Presenting these 80’s classics as the editors-best-buy cars currently for sale and listed in the classifieds during the past 5 days here @classiccarshq. 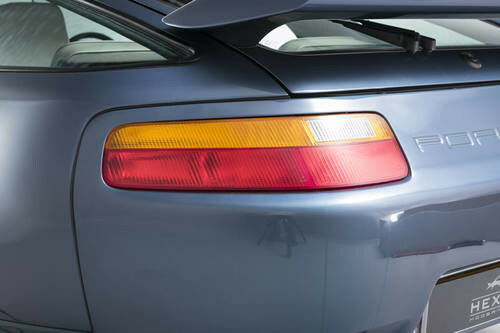 Check out The Full Ad Here and Browse more classic Porsche for sale in the classifieds. This classic convertible has reportedly been dry stored for the past 5 years and recently moved outside where in an attempt to steal it some unscrupulous character broke a bit of the dash board and messed up the ignition, hence price and hence reason for sale i.e. needs a new home. Grab yourself this Saab turbo with cream leather interior for just £1000 and get going on the classic car ladder. 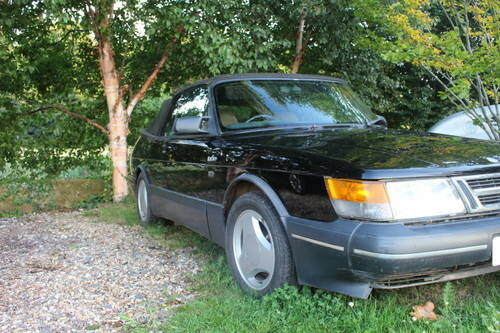 Check out the full Saab Convertible Ad Here or browse more classic Saab cars for sale in the Classifieds. This super cool 80’s American Sport Car isn’t one for the faint of heart, the burbling V8 and Magnaflow exhaust come together to produce one of the best sounds from the 80’s. The T-Top model comes complete with some new wheel bearings (not fitted but need fitting) and the original wheels as well as the wheels in the picture. She was originally imported by AutoPontiac and was the business owners personal car for many years. Grab yourself a Mouthful of 80’s American Muscle for just £5,750. 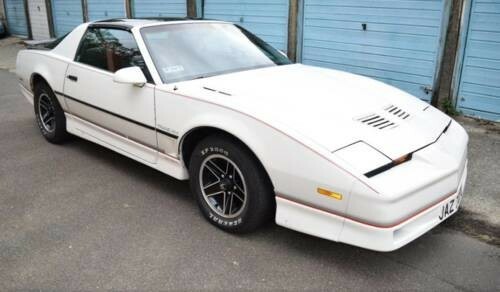 Check out the Full Pontiac Firebird Ad Here or Browse more classic Pontiac Cars for sale here in the UK in our Classifieds. Another classic Porsche making its way into the editors top 5 this week yet this one is perhaps a bit more affordable to many. Set in one of Porsche best colours Metallic Gold and with a service file totalling in excess of £25K this is one well cared for and loved Porka and described by the owner as ‘ a real gem of a car’ She has 125K on the clock but don’t let that put you off as she also comes with original mats, spotless wheels and excellent condition interior. Grab yourself an accumulating classic for just £5,000. 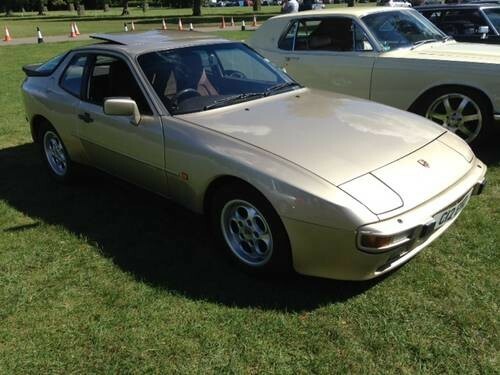 Check out the full ad for the 944 Porsche or check out even more Classic Porsche Cars for sale in the Classifieds. A drive away classic car complete with MOT and working electric hood. This 80,000 mile Merc can still put a smile on your face with its more powerful 295BHP engine too. A rare car complete with main dealer service history until 1990 this 500SEC is rather cheap when compared to some examples which fetch in excess of £70,000. This SEC 500 Golds of Hawksworth convertible conversion could be yours for just £13K. 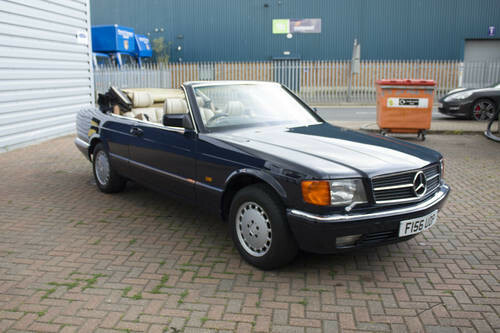 Check out the full ad for the convertible Mercedes 500 SEC here or browse more classic Mercedes cars for sale in our classified section.